Pyramis has always viewed quality as one of its priorities. The company is dedicated to providing the outmost quality and excellence in all its products and services which meet or exceed the expectations of its customers. Thanks to these essential factors Pyramis has gained its competitive edge. 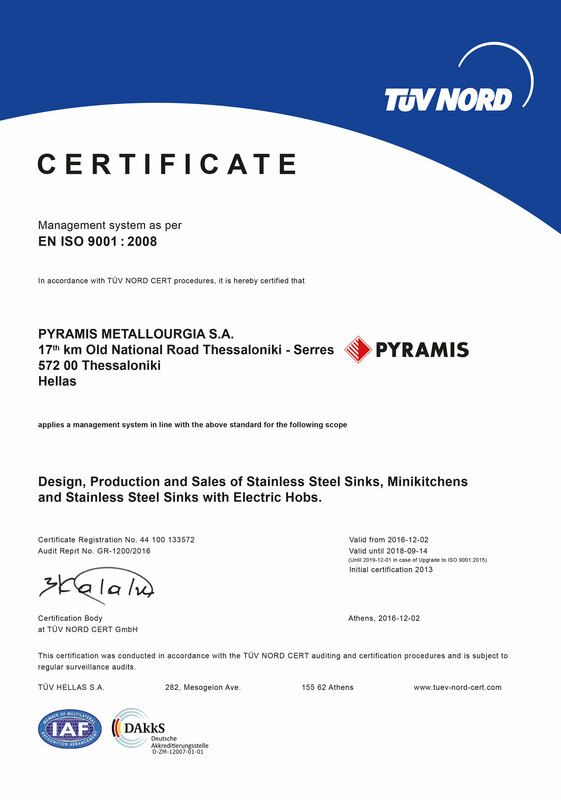 Every PYRAMIS product features CE certification. 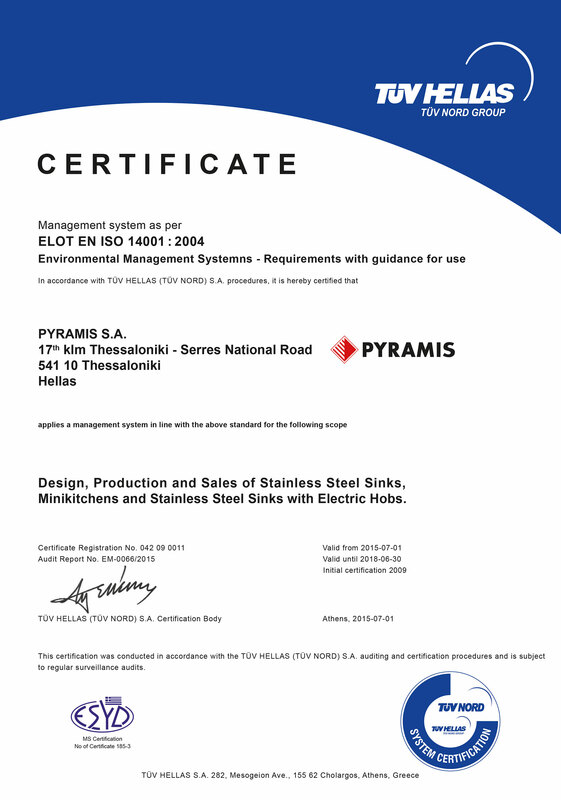 With the same philosophy as for its quality system, Pyramis is dedicated to the protection of the environment and therefore is certified according to both EMAS and ISO 14001 environmental certificates. The EMAS certification is voluntary and highlights the company's commitment to ecological preservation. The environment is a fundamental concern for Pyramis and a key component of its planning strategies. This transcends all business areas and ensures that the manufacturing methods and products are all environmentally friendly. Pyramis is committed to providing its customers with the highest possible satisfaction, including taking effective action for the protection of the natural world. Pyramis acknowledges that supplying quality products means focusing only on reliable materials and timeless design, so that the price of the product reflects its true value. Pyramis adopts a vast range of performance indicators, at every company level, to ensure that the product delivered to the user meets all his expectations. 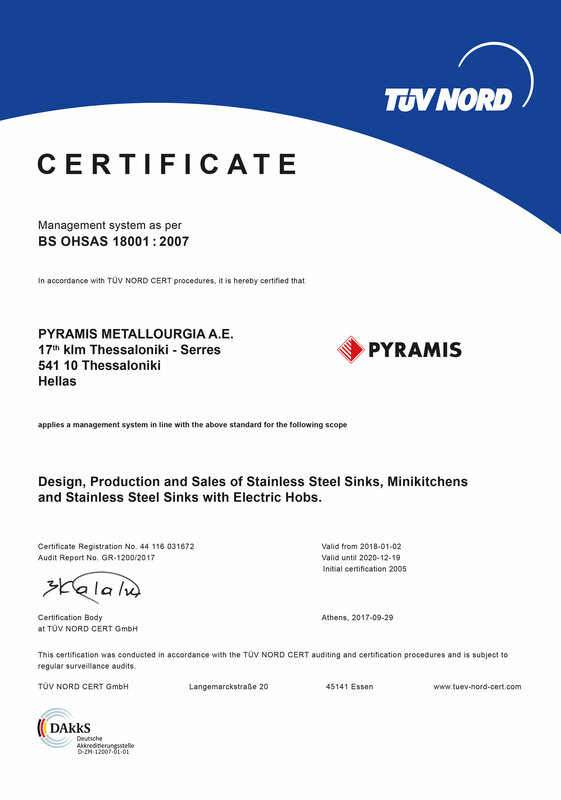 Pyramis is ISO 9001:2000 certified, ensuring high standards of quality for its products and processes.